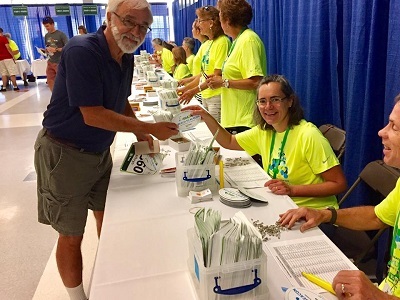 CAPE ELIZABETH, Maine (June 18, 2018) – The TD Beach to Beacon 10K Road Race is looking for volunteers in several key areas at this year’s event on Saturday, Aug. 4 in Cape Elizabeth and during race week. New and returning volunteers can sign up at www.beach2beacon.org/volunteer. A new streamlined sign up system makes it easier to see the jobs available and what areas are filling fast. There’s also a new ‘+1’ feature that enables two volunteers to sign up together. Perks for volunteers this year include a coveted tech running shirt from Nike and a special outdoor party at Fort Williams during race week just for volunteers, featuring food, music and prizes. 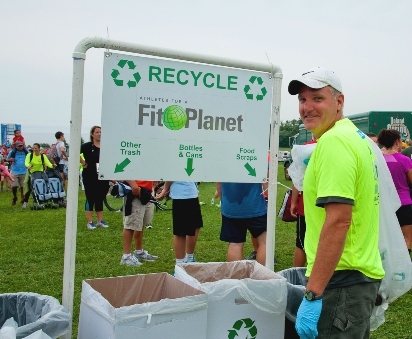 Volunteers are needed to assist with recycling and composting and be part of the race’s award-winning sustainability efforts. In 2017, the TD Beach to Beacon became the first major U.S. road race to earn top-level Evergreen Certification from the Council for Responsible Sport for its comprehensive recycling program and success in reducing carbon emissions. Help is also needed in the shuttle bus program, which transports runners from and to satellite lots at the Hannaford corporate parking lot in Scarborough, SMCC in South Portland and Cape Elizabeth High School, as well as in the parking areas for runners near the start line. The Kids Fun Run on Friday evening also needs volunteers and the Medical Tent on race day where both licensed and non-licensed medical professionals are welcome. Spots for volunteers remain in many other areas as well, she said. The TD Beach to Beacon 10K needs a total of about 800 volunteers to ensure a smooth operation for the 6,500+ recreational runners and world-class athletes alike who will wind their way from Route 77 near Crescent Beach State Park to Fort Williams Park and the finish line near the Portland Head Light, the most photographed lighthouse in the world. Groups interested in volunteering together should contact Maya Cohen at cohemm@gmail.com. Minors (under age 18) cannot register online and need to download an application from the website. Please call (207) 838-8816 or email cohemm@gmail.com with questions. Each year, the TD Beach to Beacon honors a longtime volunteer with a special annual award. The 2017 Volunteer of the Year award went to Francisco Rodriguez of Bayonne, N.J., who comes to Maine each year to volunteer at multiple positions over race weekend (even on race morning) before jumping into the field. 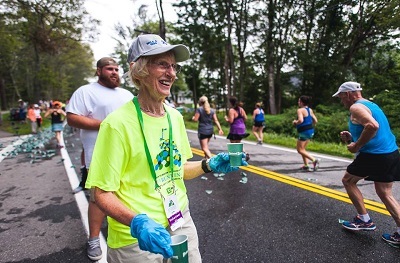 The TD Beach to Beacon 10K was founded in 1998 by Joan Benoit Samuelson, an Olympic gold medalist who grew up in Cape Elizabeth. Today the race attracts a large contingent of world-class from the U.S. and around the world as well as top runners in Maine and New England to compete for more than $90,000 in prize money.